Here we take a look at what makes Kings Heath a special suburb to live in. There are loads of great places to live in Birmingham so why would you choose to live in Kings Heath? Jayne Howarth takes a look at what is special about this suburb, what to expect to pay when buying a house and where to go for food, drink, shops and schools. There is community spirit in abundance in Kings Heath, a cosmopolitan suburb of Birmingham, just five miles south of the city centre. Nestling comfortably between the bohemian Moseley, studenty Selly Oak, Stirchley and Billesley, Kings Heath has an urban village feel – it even has its own purpose-built village square, which is the focus of events such as the monthly farmers’ market, the craft market and the Brum Yum Yum street food event. Councillor Claire Spencer, who has represented Moseley and Kings Heath since 2014, hails the development of the public space at Kings Heath Square, which is where seasonal activities such as the Christmas lights switch on happen, as “a game-changer”. “It’s so nice to have a space right at the heart of Kings Heath where this can happen, where people can fill it with what they want to do. It has made it even better,” she adds. Kings Heath Park, Kings Heath. However you describe Kings Heath, don’t refer to it as Moseley’s poorer cousin – it has its own distinctive history, its own unique vibe, and locals are fiercely proud of their corner of Birmingham. Busy, vibrant and slightly shabby chic, Kings Heath is filled with desirable Victorian homes and properties from the 1920s, while the bustling retail areas are packed with plenty of independent and national-chain shops, pubs, cafés, and restaurants. But take just a short walk from the High Street (aka, the A435) and you’ll find yourself in tranquil surroundings: the 35-acre oasis of Kings Heath Park, which boasts play areas, a bowling green and the Victorian tea rooms, was the first urban park in the city to receive Green Flag status. The variety is what makes Heathens love their village. Originally from Cornwall, Sophie Drake bought a house in Kings Heath, relocating from nearby Moseley, where she lived as a Birmingham City University student. She admits she moved to her three-bedroom mid-terrace property because she could not afford to buy in the more upmarket Moseley, but is pleased she opted for its more affordable neighbour. “I think Kings Heath is definitely a community,” says the PR executive. “It’s a town with big character and the people are very welcoming and friendly wherever you go. “Kings Heath has a special kind of pride attached to it. Everybody who lives there seems to love it and enjoy living there – with a protective attitude over anyone that disagrees. The shops and food/drink offering is great and perfect for when you don’t want to travel into the city over the weekend. Lyndsey Michaels agrees. The 43-year-old bid writer has lived in Kings Heath since November 2011 and loves that there is so much on her doorstep. Brian Travers at the Hare & Hounds in Kings Heath. You’ll never starve in Kings Heath, that’s for sure. Cherry Reds and Kitchen Garden Cafe (and Fletchers, its grown-up sibling) nestle alongside Sylhet Spice, Byzantium (tapas), Blue Ginger and Pangaea. You’ll find a farmers’ market on the first Saturday of every month, street food extravaganza Brum Yum Yum on the second Saturday of the month, and occasionally the Digbeth Dining Club makes an appearance in Kings Heath, too. Get your artisan bread from Maison Mayci. Slake your thirst at The Hare and Hounds, which is a great live music venue, too (also where UB40 played their first gig); Loco Lounge, The Sun at the Station, The Goose, and The Red Lion. Poplar Road and York Road are where you need to head to if you love your indie shops. Lyndsey recommends Jewellery Stop for unusual pieces and there are plenty of vintage shops to poke around for one-off finds. Coun Spencer is also a real fan of the area’s independent shops. Kings Heath Primary School, judged “Good” by Ofsted in 2012; St Dunstan’s RC J&I School, (Ofsted “Good” 2014); Colmore Junior School (Ofsted “Outstanding” in 2007); Woodthorpe Junior and Infant School (Ofsted “Outstanding, 2012); Wheelers Lane Primary School, (Ofsted “Good” 2014); Highters Heath Community School (Ofsted “Good” 2012); Allens Croft Primary School (Ofsted “Good” 2015); Grendon Junior and Infant School (Ofsted “Good” 2015); St Alban’s Catholic School (Ofsted “Good” 2013). 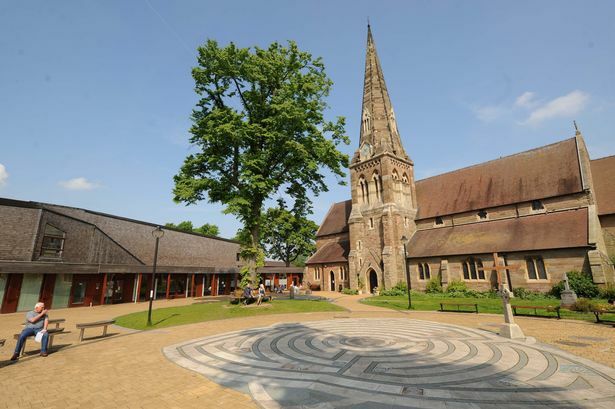 Secondary schools: Kings Heath Boys School, judged “Good” by Ofsted in 2013; Swanshurst School (Ofsted “Good” 2013); Wheelers Lane Technology College (Ofsted “Outstanding” 2014); King Edward VI Camp Hill School for Boys (Ofsted “Outstanding” 2009); King Edward VI Camp Hill School for Girls (Ofsted “Outstanding”); Bishop Challenor Catholic College (Ofsted “Good” 2012). Singer songwriter Laura Mvula grew up there, having moved from Selly Park when she was young. Singer and actress Toyah Willcox. Tennis player Ann Jones. JRR Tolkien also moved there in 1895 to live with his grandparents. According to RightMove, the cost of an average property in Kings Heath is £184,499. Most of the sales made last year were terraced houses, which attracted an average price of £176,690. Semi-detached homes fetched an average of £199,102, while flats were on average £97,176. Among the houses on the market at the moment are: a three-bedroom semi-detached house in Featherstone Road for £375,000, via Heritage Estate Agency; a four-bedroom end of terrace house in Addison Road for £230,000, via Connells; and a five-bedroom semi-detached period property for £525,000, on sale with Robert Oulsnam. If you’re on a tight budget, how about 50 per cent ownership of a two-bedroom apartment in Boatman’s Reach for £66,000, via Purple Bricks?